How to set up a fast, safe, and easy child check-in system at your church.  Having an efficient, inutitive, and safe check-in process for kids at your church is important. It increases safety, allows for a deeper understanding of who is coming (and who is not), and builds trust with the families in your church. Using Breeze for check in allows you the opportunity to have a secure pick up process, track attendance, and print name tags (which can include important information such as a child’s allergy, parent’s contact information, or a shared security code between child and parent). The first thing you’ll need to do is make sure that you have all of your children and parents inside of Breeze with basic information on the profiles (such as names, emails, phone numbers, grade, birthdays, etc). Have your people in Breeze? Great, you’re good to move on to the next step! If you're just starting up, we'd love to help you import your data from a previous system. You can find more details on our import page. You can add each person to the system from the Add Person page. You can add each person to the system from the check in page. After you get everyone into the system, you’ll next move on to creating tags. While not required, putting people into tags and limiting an event to only displaying people within those tags can help both your check in process go more smoothly (by limiting the number of people displayed) as well as give more advanced reporting abilities (the ability to report by tag). For organizational purposes, we suggest creating a folder first, for all of these new Tags to go into, something like “Children's Ministry,” that is all-encompassing. Then, it’s time to create some tags! You’ll want to create a tag for each of the classrooms or child groups (e.g. Nursery, Pre-K, etc). This process will enable us to later view attendance based on the classrooms. Next, you'll want to add the children to their respective tags. An easy way to bulk add individuals to the tags is going to be from the People section, where you’re able to filter search based on the criteria for your tags. For example, if you have the tags created for groups of children based off of age, you can do an advanced search for an age range (0-1, 2-4, etc). Or if you have the tags created for groups of children based off of their grade, you can do an advanced search for individuals who match particular grades (Pre-K, Kindergarten, etc). After you've searched with the appropriate filters, you can then bulk add these individuals to a tag, using the Action Panel on the righthand side. Now that all your kids are in tags, you'll move on to creating a recurring event to be used for check in. 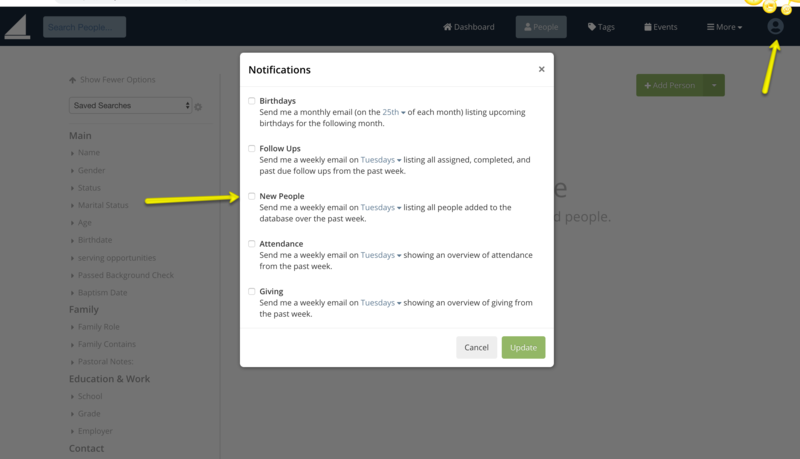 On the events page, click to create a new event and set it as a recurring event. The title of this event should be something all-encompassing, such as "Children's Ministry", as it will be used for the check in of all of your individual classrooms (Nursery, Pre-K, etc.). If you have multiple services, we recommend creating a different event for each services (e.g. 9:15am Children's Ministry, 11:00am Children's Ministry). Assuming you created tags to put people into in the previous step, during the creation of this new event you will want to change the check-in eligibility so it is limited to the tags you specify (this can also be done later within the event's settings). By doing this, only people within the specified tags will show up on the list. Whether changing the eligibility upon creation, or later on in the event settings, you'll simply want to change it from "Everyone" to "Specific Tags." You will then choose the tags you would like to be eligible for the event (your child classroom tags). Follow the directions found on Customizing Your Check In Name Tags to see how you can customize the name tags to fit your churches needs. For added safety & security include the 3 or 4 digit code which will print on the child's name tag and the parents. Then the parent will bring their parent copy to check out their child. Congratulations, your check-in is all set up! Can I add an allergy that a child has to their name tag? Is there a way to check individuals into multiple events (8 AM service, Sunday School, 11 AM service) from a single screen? If you you are using a Dymo Printer and your app, a computer still needs to be involved in the equation in some way to process the information for the printer. The computer is what has the DYMO software on it, as the iPad/phone does not, so it still needs to be involved. The benefit of the wireless printer though, is that this will connect to your computer over the wireless internet. So, you can have the appearance of wireless at your check-in desk with your iPad and printer, but have the computer located somewhere else! You could have your computer with the Print Station window open in your church offices and it will still work! It does not have to be right next to the printer to connect to it. This connection is not happening via the network, but via the internet in general. Which means as long as a Print Station is connected to the Wireless Printer, you can literally print from anything that's running Breeze and connected to the internet! How can we set it up so that our leaders who are checking students in have access to the students family information. Specially emergency contacts in Breeze. We don't print name tags, is there another way to do that? Since you are not printing name tags, exporting the students information with family information and emergency contact information to excel and printing it out to leave with the leaders, is best practice. Is it possible to have 2 iPads using the same computer as a print station with two different wireless printers? How can I change what is seen on the Overview? Currently ours shows information that should not been seen by Check In role and fields that are not helpful for an Event or Check In. You will want to set the role to Check In Only-This removes any data and information and only allows access to take attendance. Our parents check their kids in before Sunday School and pick them up after worship. Some parents check them in before worship and pick them up after. Very rarely someone may check them in for Sunday School and check them out after Sunday School. We operate self-check in kiosks and a staffed kiosk for new people or people unfamiliar with the system. We DO NOT want to ask people to check in more than once and we don't have the resources (or don't want to use the resources) to staff all the kiosks when a huge number of regulars do self-check in. Hey Kevin - Great question! And thanks for writing it on this article because it made me realize that this article is a bit out of date with some of our new check in features! Based on this information, I think you would benefit from using our "Kiosk" mode check in which will allow check in by either a barcode or a phone number. This is our most secure option and the one that we recommend for an "unmanned" check in station. If you have some additional specific questions with this, we'd love to talk to you further. Please Contact our Support Team and we can walk you through some additional options! We currently run the Breeze check in system for our Sunday Morning service. On any given Sunday, we may have to add some new children to the event, but we are finding that I, in the office, do not receive notification that a new name/family was added. Is there a way to set up notifications for new families added to the database so that we can better connect with these families? We are using the check-in settings for our children's ministry and I was wondering if there was a way to add an option where "GUARDIANS" and not parents in the same family can utilize their phone number to check-in or check-out the child? We have in our parent/child info sheet, the ability to add names of other people who can check out their children. How do we do this? Is there a way that Breeze can add under family, a guardian option where that individual can still be part of his/her own family? Currently, if I am part of my family, I cannot join another family. Therefore, if there was a guardian option, that person can be added to multiple families? Does that make sense? You bring up some great points in what you're trying to accomplish in Breeze. I can see the added benefit in being able to add other guardians like this, working in children't and student ministry myself. While we can get to your desired results eventually, you're just bumping in to some of our limitations. While this isn't comfortable for us, it does drive us to be better. We’re always on the hunt for the next great idea to serve churches better! For more information about submitting a feature request, please check out www.breezechms.com/features. Is it possible to set a limit of the number of children that are allowed to be checked in? I understand adding the custom profile filed under Families profile and doing the drop-down, but when we print the labels for each child, I don't know if that would be helpful. 1. Currently, in each corner and middle space, you can only input one field. Instead, it should be a drop down click menu, so you could select multiple fields. I don't know if it's better to use a text field or notes, and how that will print out. 2. This way, hypothetically, if you tag another member as a "guardian" would it be able to print out their name and phone number if needed? I'm trying to work around this by creating a new category for Children's Ministry and adding the information that we need, but it is being a little bit tedious. 3. I like the option of people registering on the event page, especially if they are brand new to the church. I discovered that recently, and i think it's marvelous, and helps with #2. How do I add a signature page where they can sign off on the liability waiver, and how do I upload that on the EVENTS page? Lastly, I appreciate all your support, and I am finding navigating through Breeze to be much easier than before. I hope the current platform will continue to improve, and I see so much potential with this system, so keep it up! Thanks so much for sharing this feedback with us! While we are eventually able to get those results, you are bumping into some of the limitations of check-in. Some topics get a bit confusing through email so please feel free to reach out via phone with these questions so that we can best serve you!